Our trip to NYC was planned for the morning of March 21st with an early arrival for an afternoon appointment. Well, if you watch the news I’m sure you heard about the big storm they had that day. Our flights were cancelled 24 hours before. We tried to fly out the night of the 20th and made it to the airport, only to find out it was also cancelled. We started looking at Thursday, nothing was available until Saturday. Fear and anxiety took over me, I was literally freaking out about what we would do. Well, my parents came to the rescue! They got us to the city first thing Thursday morning and we rushed to the hospital. Charlotte received her 7th vaccine! In the past it has always been very painful with a large, hot welt afterwards. This shot, she worked herself up, she cried, started to struggle breathing, and coughed like crazy. After calming her down and getting the shot, she told me, “I didn’t know it would just feel like a pinch. That wasn’t so bad!” Then she wanted to go to the playroom to do some crafts. Friday morning she had scans. We knew more than likely we wouldn’t hear results until after the weekend. 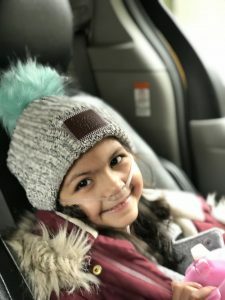 One thing we didn’t expect to hear was that the doctors wanted to cancel Charlottes bone marrow biopsy and her port removal. The doctors felt that with her breathing issues, it would be more of a risk than a benefit. He was also concerned that the pulmonologist may need her port for treatment and blood draws. Friday around noon, we realized we were done! We could go home! 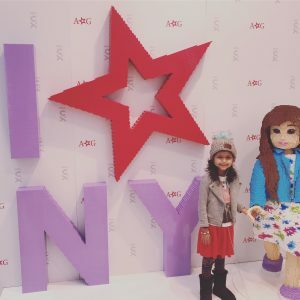 Charlottes treat was a visit to the new American Girl Doll store. What a treat it was! Sunday we returned to our own beds. We have some exciting news and answered prayers! 1.) Charlottes scans look good, or stable according to the doctors. The spots we had been watching aren’t able to be measured anymore!! She still has quite a few areas that need to be monitored and that we are believing are inactive, but we will take what we can get!!! 2.) Insurance finally approved Charlotte to be seen in Philadelphia by one of the top pulmonologists! 3.) The wait to get an appointment in Philadelphia was a few weeks out. One of Charlottes NPs in New York knows an NP in the pediatric pulmonology department and told her Charlotte needed to be seen ASAP! Some strings were pulled and we go to Philadelphia this week for an appointment on Thursday!! With lots of travel, emotion, and exhaustion the Lord has kept us. He has remained faithful! Great news! 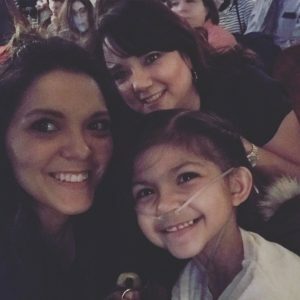 So glad to hear that Charlotte got her pulmonary appointment! Praying and believing that the Doctors will have wisdom and solutions for Charlotte. Your & Charlotte journey has been Long & Hard. Are Prayers & Thoughts are Larger & Harder. Let’s Pray this Journey get Easier for Charlotte. Praise God! Praise God! This is the best news and such a joy to read and share in your happiness. We will not stop praying, but will also thank God for his hand in all that you shared. We are doing the happy dance for you…. So happy and grateful for ALL this good news! Be encouraged and be at peace as your sweet Charlotte and your family are loved and prayed over each day. Praises to God for His overwhelming, never-ending faithfulness and love, given in so many answered prayers. Praying for details, wisdom and continued bits of joy along the way, love all of you and praying for the testimony God has given your family! Thanks for the update!! I will continue to pray for beautiful Charlotte as well as all of you! You guys are a very strong family filled with love and faith!! Please keep us posted on her! My continued thoughts and prayers for her and the rest of you!! And a big hug to your parents!! You go Charlotte! 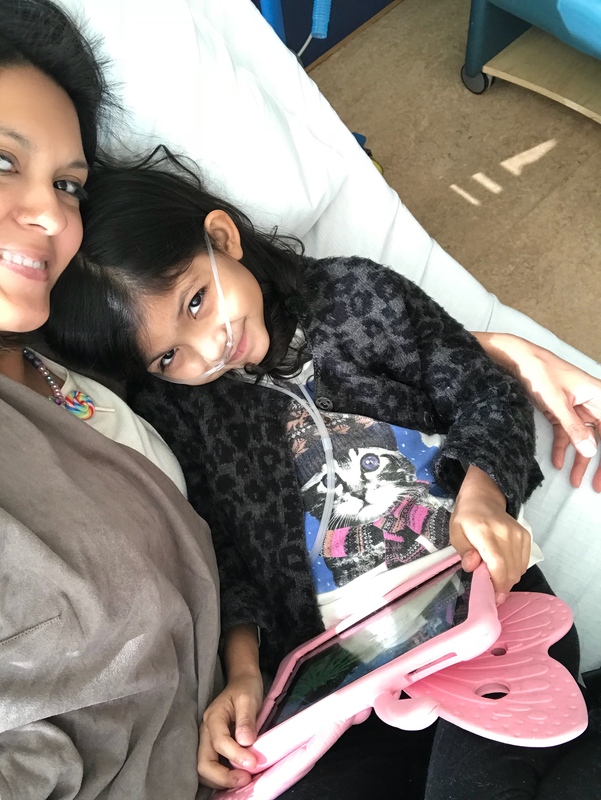 God is with you little one! He is keeping his eyes on you and your beautiful family. This news puts the things around me in perspective! I’m so grateful to our Heavenly Father for His Forever love and care for His people. Thank you for sharing this journey with us. I will continue to lift Charlotte and your entire family up to our Lord for complete healing. In God’s amazing love! So marvelous watching God at work—in His time. Continuing to pray……. Great news! Hugs to all of you from your friends at Make-A-Wish in Redmond! So many prayers answered. We were overjoyed at all of these. Our continued prayers for this beautiful little angel and her tremendously strong family. God is good!!! Praising God!! And continued prayers for healing and strength.